The Architact Collective Can Create Your Very Own Ring Design! Eric Chan supported us on Kickstarter by pledging to ‘design his own ring,’ we absolutely love his creation. We wanted to share with you his incredible design. AC: We love your ring design which maximises the surface area of exposed concrete. What inspired your ring design? EC: The materiality of the concrete ring, of a normally rough material used in a refined way for jewellery, initially drew me to this project. Finding out that it came as a DIY kit won me over (i love designing-making-redesigning things). 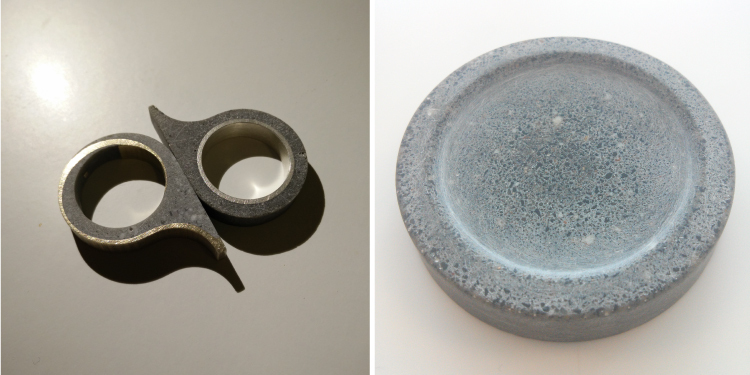 I saw the DIY concrete ring as an exciting new material and process to explore. The design of the shape came from my desire for something minimal that sits flat on my hand, but with enough exposed surface to show off its texture. The result was a simple ring loop with a band that extends over the adjacent finger. AC: We often express the joy that comes with designing, making and wearing something that is crafted through DIY. Can you describe the process? EC: I got the most enjoyment from the process of making and learning about the material – the apprehension of making the ring for the first time, the gut wrenching feeling of finding large air voids in the ring after taking it out of the mould, and the relief from knowing that it can be fixed easily (following the well written instructions from Architact Collective). With the reusable mould, an additional batch of concrete pigment mixtures, and the extra supply of epoxy resin left over from the repairing process, I had enough material to keep experimenting. As I didn’t know any silversmiths, I decided to have the new metal inner 3d printed (withshapeways). 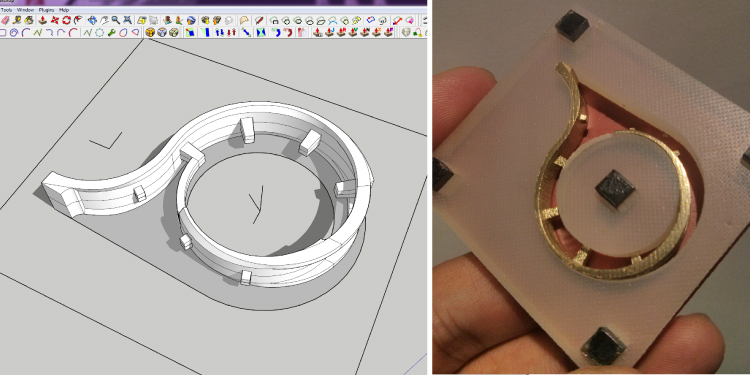 In order to take full advantage of the 3d printing process, I created a new inner ring design. I spent some time playing with different colour and texture mixes and also figured out how to best prevent air voids from forming (by leaving the silicone mould open when casting). 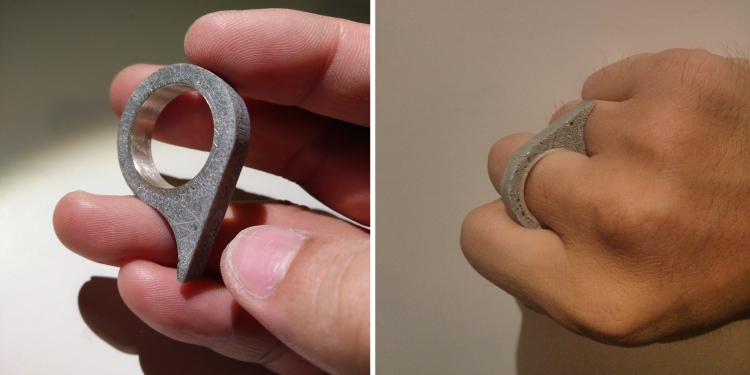 After some fun exploration, I made another concrete ring (version 2). AC. We hope you continue to experiment. Do you have plans to do further rings or other products? EC: I really like the surface texture of this material, with flakes of aggregate showing on one side and tiny bubbles on the other, and will definitely keep experimenting. Apart from rings, I will also be looking for other interesting containers to use as moulds. AC. We are constantly designing, redesigning and refining our products. 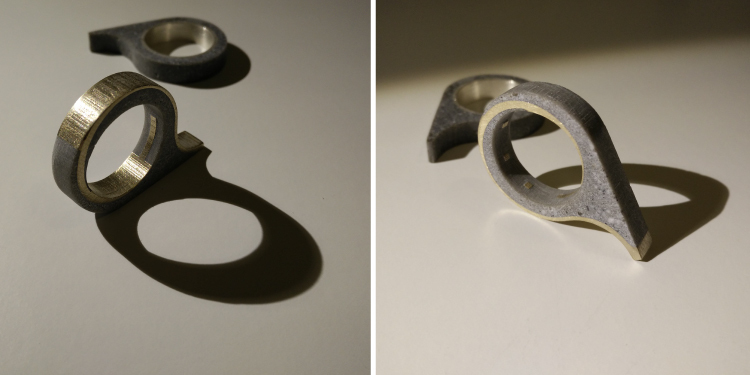 What do you like most about our DIY Concrete Ring Kits? EC: The DIY kit is very nicely assembled. The instructions are clear and well presented, the packaging design is really neat, and the quality components in the kit means they can be reused again to make many additional rings. I love the hands-on crafting process that the DIY kit promotes and would recommend this to anyone. I’d like to thank Eric for sharing and documenting his story and process. In order for Eric to create his own design we casted a one-off silicone mould. 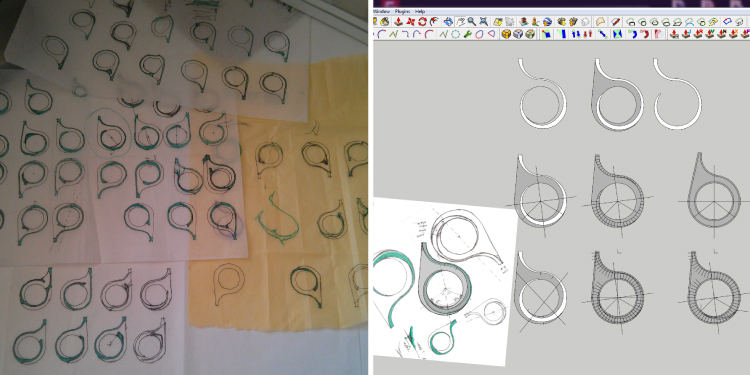 If you would like to design your very own ring please send an email to hi@architactcollective.com. We would love to work with you! I hope they can do a better ring design as their past works are too good and they are really skilled people for any kind of designing..